Recently purchased this Eucol U2817A industrial grade LCR meter, and able to measure resistance of 0.00001 Ohm to 99.9 Mohm , Capacitance 0.00001pF to 99.9 mF and inductance of 0.00001 uH to 99.9 kH at frequency of 50 Hz to 100Khz. Will start using the LCR meter to start measure some branded speaker , interconnect and power cord and archive the brand and cable test results on this thread. 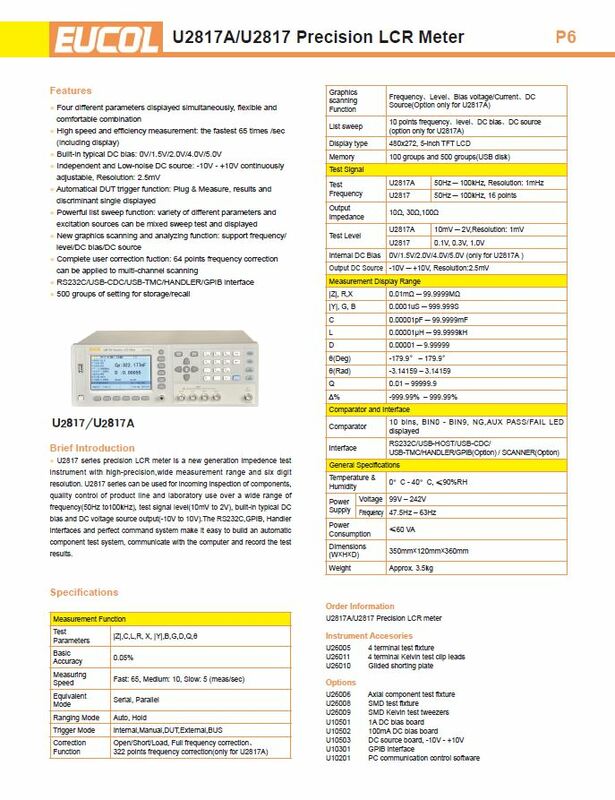 Any bro that have expensive cable that want it to be measure can PM me privately and later test results publish here. Hopefully we can see a measurement trend on why some branded cable has great performance... also I will be using the LCR meter to design speaker crossover circuit for inductor coil. 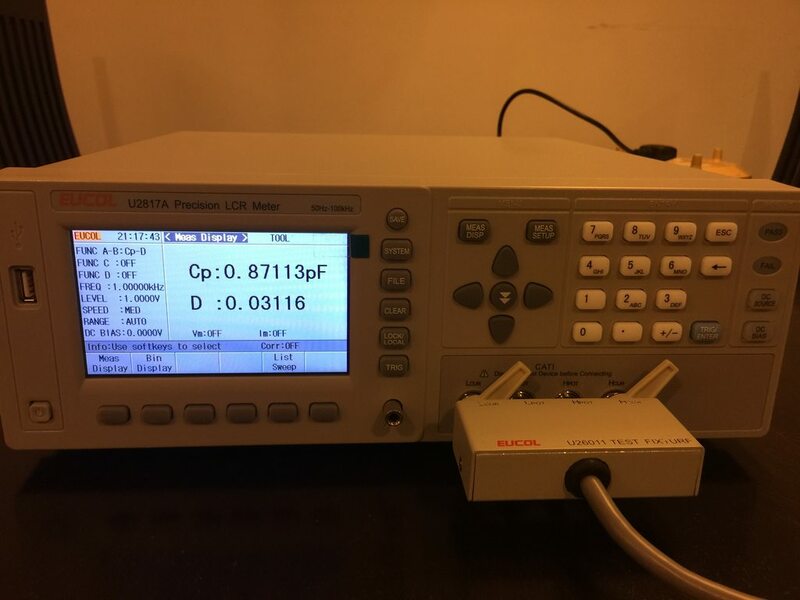 I will received the LCR meter within next two weeks and will start publish some high end brand cable test results... Let me know if you have any great cable that you want me measure and publish here. Finally the LCR meter is here! will start doing some measurement for Nordost cable and archive the test results here..any forumer want to have their cable tested can PM me. Need to pay test fee or not? haha, I hope I don't have to pay fee for them to bring cable for me to test! Will you still be doing testing in jan? Prob can only bring my cables to u ard jan, as i have visitors this few weeks. It will take abt 1 week for the sound to return to normal of i unplug it. No worry, as I will continue to test various branded cable. You can bring to me in Jan for testing. Am using nordost. Which nordost model is slated for testing? anyway, the cable measurement only take few minutes for each cable as need hand record down the reading, in future I will automate the measurement using laptop so each cable will only take few sceond. I can probably chip in the odd Belden too at some stage timing permitting, might bring the Fluke LCR along for the comparison too. No problem... just let me know in advance, so as able to arrange the timing schedule. some Nordost cable electrical parameter measurement test results as attached. please noted some speaker cable the resistance is extreme low, so use a good contact solution to clean and make sure you have solid low resistance to get the full benefit of the cable.